Amardeep Singh: Is it Time to Update the File on Narendra Modi? Is it Time to Update the File on Narendra Modi? 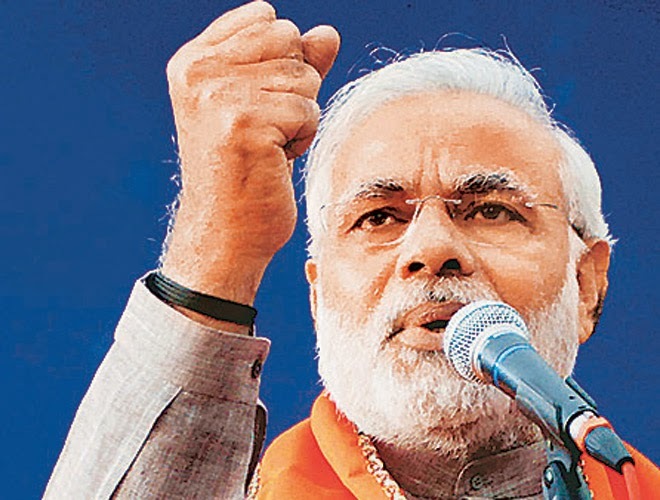 So it appears that Narendra Modi is on the cusp of becoming India's next Prime Minister. We'll begin to get a real picture of the actual election results in about a week, with the actual outcomes to be announced beginning on May 16. Is it time for us to update the file and reassess the record of Mr. Modi, especially now that the bulk of the voting in various Indian states has already taken place? However, the 2002 factor does not appear to have made a very big difference in how Modi has been perceived in the current general election. He has not been charged with a crime (a Supreme Court investigative team concluded that no charges were warranted in 2010), and even for Indians who have some suspicions about his role in that violence, there is a widespread sense that all that is now far enough in the past that we should be moving on. I'm not sure I can agree, but a sense of indifference to past violence appears to be the political reality in India for now. In any case, the ruling Congress party is so thoroughly discredited and rudderless that it's hard to mount any kind of vigorous critique from the center-left point of view. Secular intellectuals may not like Modi, but the traditional embrace of a conventional "Congress isn't perfect, but it's better than what you have to offer" line has been falling flat. Like many other Indian election-watchers, I have been interested and hopeful about the emergence of the Aam Aadi Party (see this New York Times article from last November introducing the party). Admittedly, I'm not sure that the leader of the AAP party, Arvind Kejriwal, is quite ready for prime time based on the debacle of his brief Chief Ministership in Delhi a few months ago (see this critique: "How the Aam Aadmi Party Lost Its Way"). But the AAP party is now much bigger than just Arvind Kejriwal; it has gone national quite quickly, and developed quite a broad base of support and a diverse set of quite vocal supporters, some of them from disillusioned Congress voters, some from further left on the political spectrum (Medha Patkar, for instance). Despite contesting the election on a minuscule budget, there are some hints that the AAP may have a surprisingly strong showing in some unexpected places. The under-representation of voices from vast rural areas of many Indian states means that political polls and journalist reports are only sketchy predictors of actual election results. Is it possible that the AAP party will win enough seats to lead a coalition government? There are also regional political figures like Mayawati to consider; a strong performance from her in certain districts of UP could make her a king-maker type figure (see this analysis from Scroll.in). That said, for now I am presuming that even with some room for surprises, the BJP will perform as experts are predicting and Modi will be the next Prime Minister. But how long will he last? If the way Modi has run his campaign is any kind of indication of what kind of leader he will be, it may not be very long at all. Here I take the lead from Shivam Vij's recent editorial column in Scroll.in. Bharatiya Janata Party prime ministerial candidate Narendra Modi was booked by the Ahmedabad police on the orders of the Election Commission on Wednesday for making a “political speech” and taking a selfie of his inked finger holding the party’s election symbol, both after voting. Modi is indeed a charismatic figure running more on a pro-business platform that India's large corporations find enthralling after a decade of a center-left government (and especially after the major slowdown in the Indian economy in the past year or two). If and when the results indicate a BJP led government next week, the stock market will explode with enthusiasm (for a couple of days, anyway). But the man we know is not going to suddenly change and become something different than he has always been. Modi has not learned is how to speak respectfully or carefully about sensitive issues. He has not learned to talk to his political opponents or to treat them with respect. It's hard to imagine how a person like this could hold onto a Prime Ministerial seat for very long in a country as complex and divided as India. Modi may have become quite deft at ignoring the left's demands that he account for Gujarat-2002, but in India there are actually a hundred different political conflicts underway at any given time in various corners of the country -- a thousand different political landmines for a blundering politician step on. Modi clearly isn't prepared to speak about what's happening in Assam; is he ready to speak responsibly with regards to the ongoing conflicts in other parts of India as well? Kashmir? Telengana? I don't think so. So here might be a somewhat reassuring scenario for my friends and colleagues disheartened by the likely Modi victory: imagine him coming into power with a wave of support from the urban, English-language media. He's on the cover of many international magazines. The U.S. rescinds its travel ban (this is pretty much inevitable). The lotus appears triumphant! But after a few months an incident occurs somewhere in India and Modi says something nasty and unsupportable about one or the other of these conflicts (along the lines of what he said last week about Bodoland: "those who come here for vote-bank politics and take away the jobs of our youth will have to go back" [link]). Mass protests on the streets ensue; an essential regional political party pulls out of the coalition government; and suddenly, there is pressure on him to step down. Depending on how bad things get, we might then see one of Modi's lieutenants take over the reins at the Center. Or the coalition falls apart entirely and some other coalition emerges (perhaps led by the AAP...). So yes, I am disheartened about the apparently imminent BJP government. But we should trust our instincts and judgment of character, and feel somewhat hopeful that the checks and balances that are built into Indian democracy will do their work. Modi's speeches in the last few days gives us some hope that he won't get the numbers.